Adelaide Festival of Ideas 2018 — What Privilege? We had a full house attend both panel and workshop sessions on Sat July 14th 2018 at Nexus Arts as part of AFOI 2018. We are all players in a complex, global game of power and privilege. We all know the game. The rules are rigged. In the urgency to collectively imagine a better future together, what ideas, tools and visions will we bring? How can we change if we use the same thinking that got us stuck in the first place? This panel explores how we can share our values, listen to others and equitably create a world we all want to live in. What Privilege? challenges us to notice, disrupt and reframe our values, highlighting how power and privilege are unavoidable forces impacting our negotiations. Every day we all encounter and perpetuate colonising mindsets and culturally sanctioned oppressive values. It takes practice, humility and courage to recognise how we gain benefits at the expense of others and how we can creatively change our power dynamics, to break the silence and build intersectional solidarity. Join us for three 10min presentations, hear from Change Media and two of their national partners why and how they are using What Privilege?, and find out how to use these tools in your life, workplace and practice. Change Media’s founders Jen Lyons-Reid and Carl Kuddell discuss how supremacy thinking affects our ability to take creative risks, sharing some of their ‘glorious failures’ and provocative mischief, outcomes from Jen’s Australia Council Fellowship and decades of troublemaking across media and the arts. Ngarrindjeri man and former CEO of the Ngarrindjeri Regional Authority, Clyde Rigney Jnr used What Privilege to consider ‘who is coming to visit’ during his recent Treaty negotiations with government. How can we engage respectfully with Ngarrindjeri culture and values? How do we come to terms? Arts Access Victoria’s executive director, Veronica Pardo uses What Privilege to lead critical conversations across arts and health sectors to actively subvert exclusionary employment and engagement in the arts and explore privilege, to acknowledge we don't all have equal access to creative agency. What Privilege? 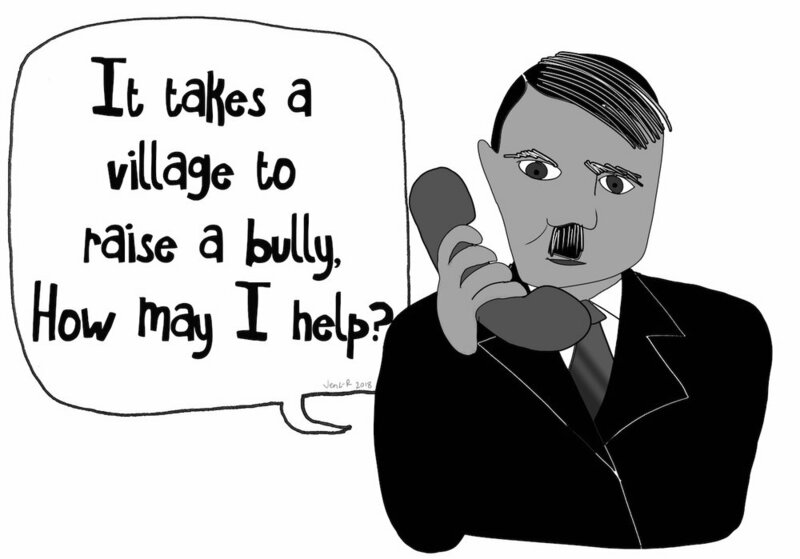 games use question-thinking and play, based on 50 cheeky power character cards and hilarious supremacy scenarios, to check our privileged mindsets. This is a transformative process – beyond guilt and blame, to collectively develop negotiation skills to notice, disrupt and reframe our shared terms of engagement. What Privilege? games highlight how we all play competitive games on a daily basis, perpetuating colonising mindsets and structural violence. This workshop uses game-play to create a fun space to safely take risks together, supercharge our learned and deeply ingrained behaviours and notice how we benefit from complex, privileged assumptions. Around 70 people across 6 tables joined us for an hour of hilarious game-play to check our privileges. 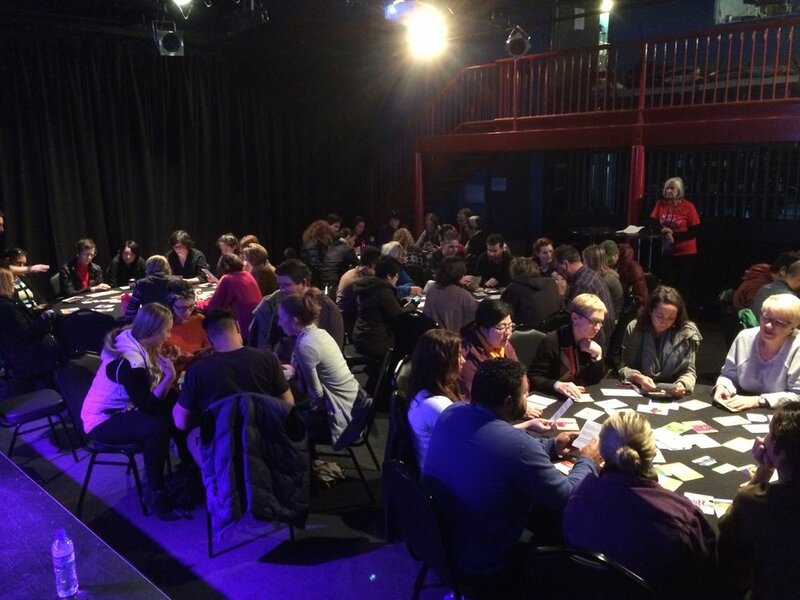 Change Media’s founders Jen Lyons-Reid and Carl Kuddell offered a glimpse into the new What Privilege card games, based on a decade of research and development across critical literacy, harm and solidarity, in collaboration with a range of national partner organisations. Carl Kuddell introduced 15min of What Privilege Tarot to lead critical conversations across sectors. 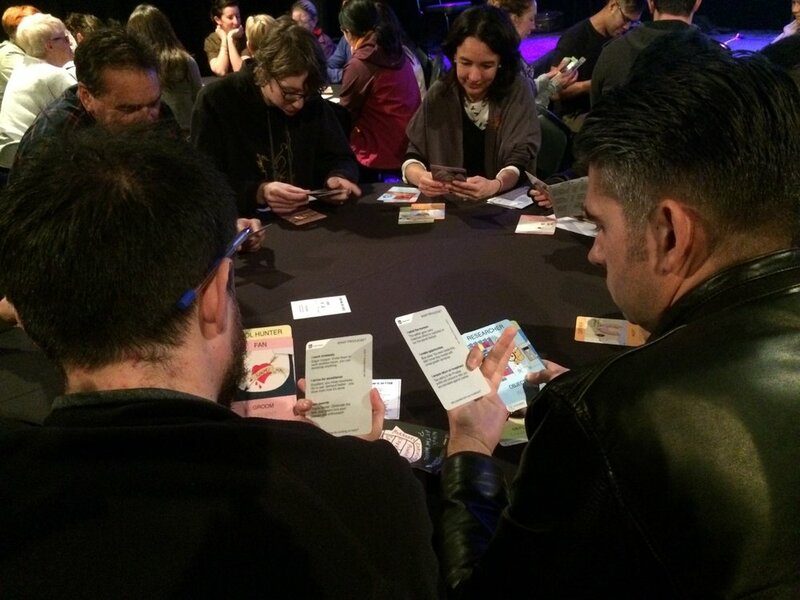 Players are invited to consider their work practice and lifestyles through the lens of colonising character cards. Who comes to visit - in your past, presence and future? 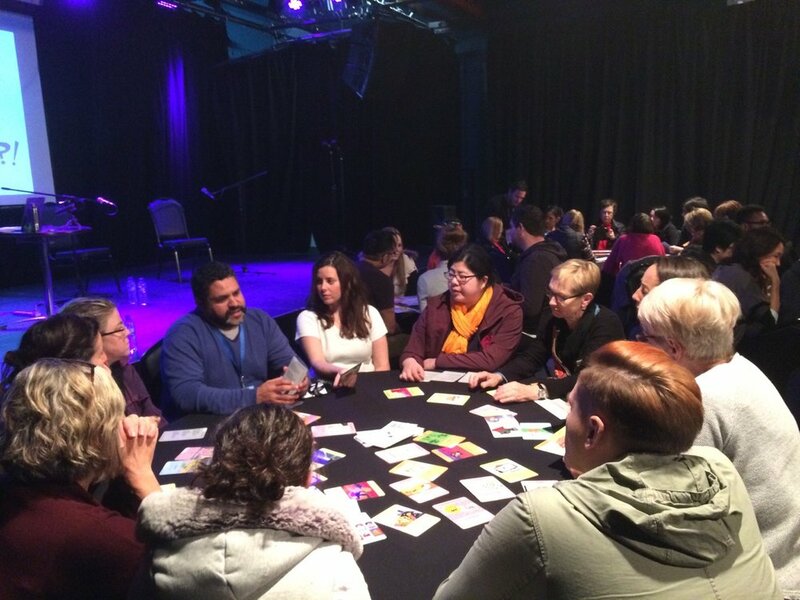 Change Media were joined by Fire Hazard Games Australia’s Marshall Cowan to run a new 30min group dynamic game ‘My Team is Better Than Yours’, using a new set of 50 Mission cards. UnHealthy competition anyone? This initiative has been assisted by the Australian Government through the Australia Council for the Arts, its arts funding and advisory body, and by the South Australian Government through Arts SA.